Add a unique touch to your luxury bathroom with the BW-01-XL freestanding bathtub. Constructed of eco-friendly, non-toxic material that is 100% non-porous, this stone bathtub is unaffected by fluctuating moisture or humidity. Bring originality and function into your home with a stone resin bathtub made perfect for any contemporary bath. The modern oval design of this deep bathtub allows for the relaxation of full-immersion soaking with an innovative design that forms to the body shape. This luxury bathtub easily adapts to its surroundings, fitting in seamlessly with any decor style. The stone resin of this stand alone tub is a composite of acrylic polymer and natural minerals with a sleek white exterior that emphasizes the classic beauty of the tub’s ergonomic and timeless, sweeping lines. Purchased this tub, two matching sinks, and a square freestanding sink. We had an amazing experience with Badeloft fro…m the awesome customer service to the excellent products and very competitive pricing. Would definitely buy again for a future renovation. We installed the BW-01-XL in the master bath of our new home, and I couldn’t be happier. Even though our purchase was lo…ng distance, I felt confident about our choice after viewing the photographs, stone samples and templates. Several phone conversations with Tyler Kuhlman also helped us make the decision. The company offers great customer service! 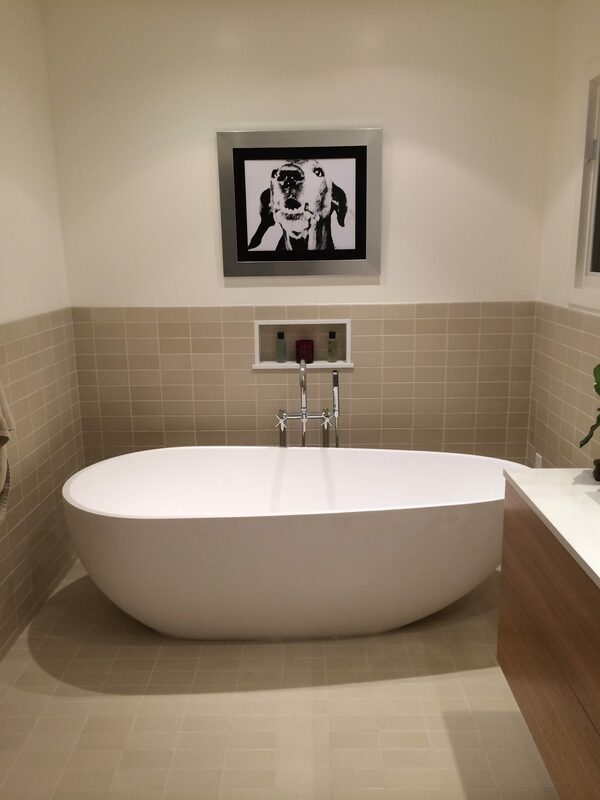 Our building contractor raves about the quality of the tub, and has recommended Badeloft to other clients. It is definitely built to last, and is very comfortable and warm. 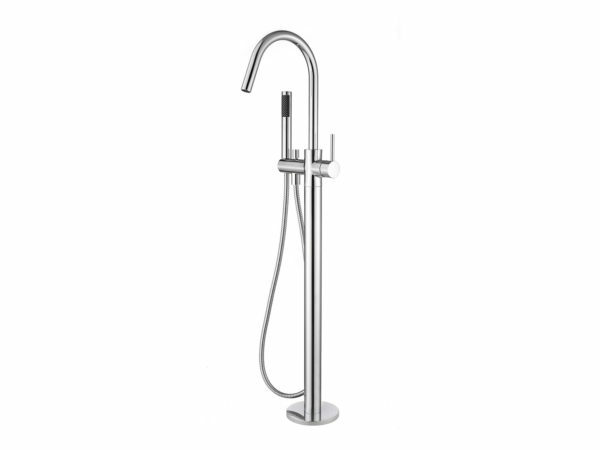 We also bought the Freestanding Faucet AT-04, and are thrilled with that too. Excellent product. Great customer service. Fast shipping. Beautiful tub and amazing value. Couldn’t be happier. Bade…loft is the way to go.